Welcome to the Musket Smoke blog. The plan is to gradually post tips, tactics, update news, and other Musket Smoke related things as time passes. If you are a fan of the game then you will be happy to know that I am super friendly. Feel free to let me know what you are thinking. – Fresh ideas with impact. 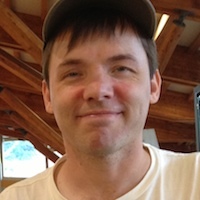 Making online turn-based tactical war games more fun and social. I noted your recent post regarding not a lot of people leaving feedback. I myself have left a very positive review on the App Store (UK) but it still hasn’t appeared yet. That was over a week ago so not sure if there is a problem with Apple uploading these? I believe Apple holds off on showing new reviews until there are at least a few star ratings submitted. It’s almost like a punishment for submitting new updates, but I guess they have to prevent people from abusing the system. Or perhaps reviews can slip through the system when the app is updating? Maybe if you tried again it would stick. I think they are usually 1 or 2 days before they show up. So not many UK reviews yet. Perhaps Musket Smoke 2 will fare better as it is themed around the English Civil War. Thanks again Tony, reviews are the lifeblood of any app. The new MS2 theme will boost gameplay by adding a few more interesting unit types to extend your tactical options. So bigger maps, more units per battle, more unit types and a single player campaign. 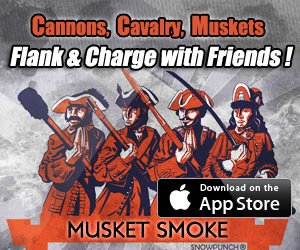 The app will be universal so more people will become aware of these games which will help Musket Smoke Classic gain more commanders as well. Just an update on this, still no reviews on the App Store 😦 seems strange as I tried twice to leave one. I assume others have tried also? Thanks. I really appreciate your efforts here!